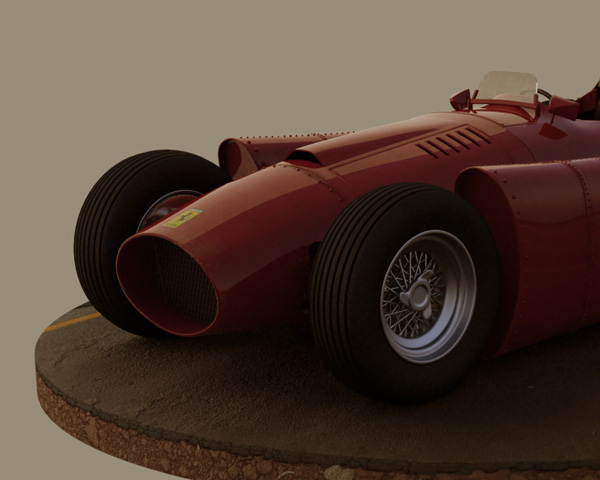 A speed project from a few months back. 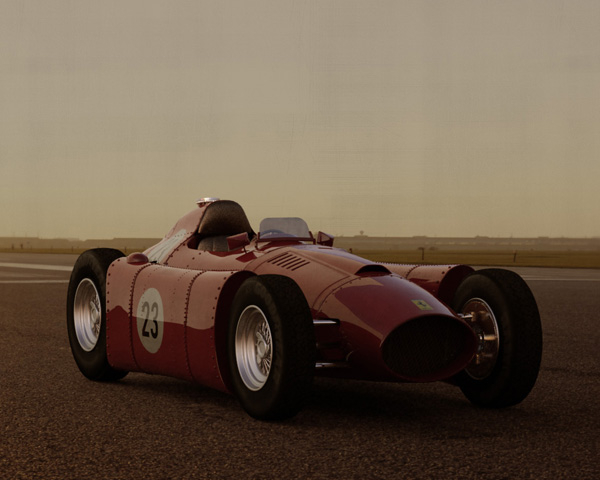 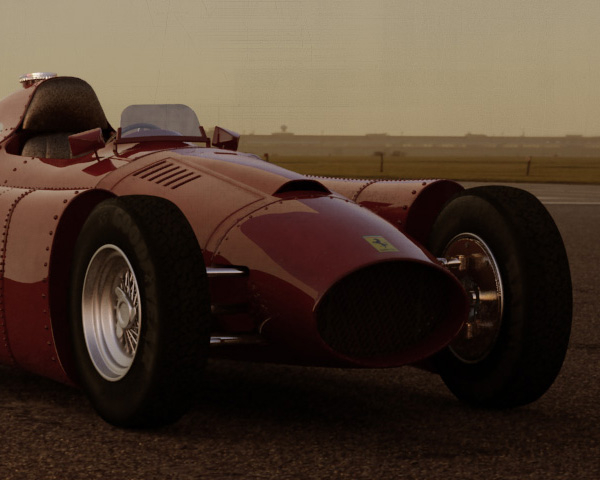 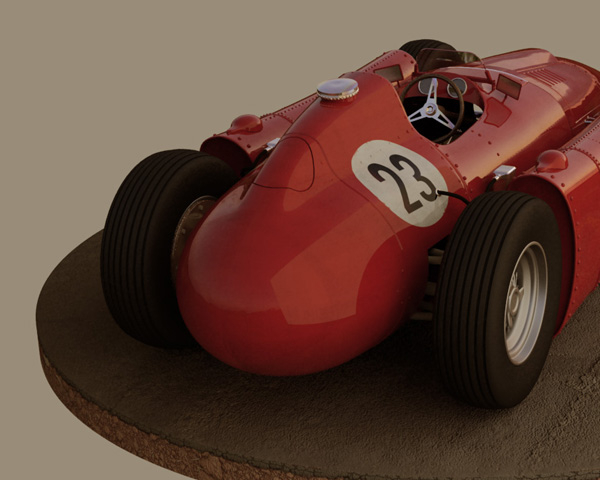 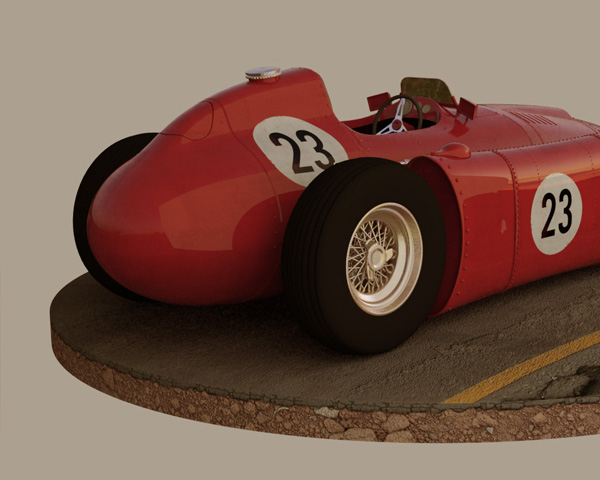 I love motor racing and vintage cars, so this is my take on the 1952 Lancia D50 that was eventually driven by Alberto Ascari when Lancia sold the rights to Ferrari. 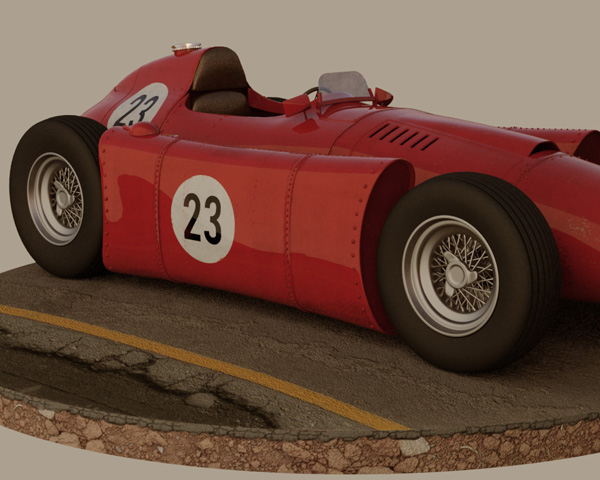 Lots and lots of Poly modeling in 3D Studio Max, textures painted in Photoshop. 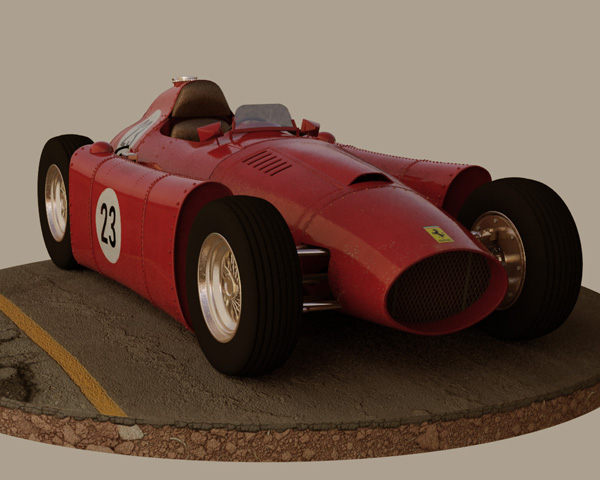 Most of the renders are from a turntable animation I never got round to finishing, and the large wallpaper image is the car rendered on a HDRI backplate.